BO XILAI BROUGHT DOWN BY HIS RIGHT HAND MAN WANG LIJUN? According to the New York Times:Wang spent a night in the consulate before leaving in the care of officials from the Ministry of State Security in Beijing. Airline ticket purchase records showed that a first-class seat for a Feb. 8 flight to Beijing had been bought for Mr. Wang, according to a Bloomberg report in February. A first-class ticket was also purchased for Qiu Jin, a vice minister of state security. Mr. Wang has not been seen since he was escorted from the Chengdu consulate. The Wang Lijun case was widely discussed on China's Twitter-like microblogging sites, though state-controlled papers have remained mostly silent on the issue and Chinese reporters covering parliament say they have been told not to raise it. In his first questioning by media since Wang fled, Bo played down suggestions that the episode could also bring him down. "It seems that anywhere, no matter how well things are going, you need to exercise vigilance and prevent the unexpected from occurring," said Bo.He fended off questions about his own prospects, grimacing and rolling his eyes at repeated questions from Hong Kong and Western reporters about Wang. "That's totally a rumor, totally imaginary. There's no such thing as a resignation," he said when asked whether he had offered to quit. He also denied being questioned about the case. Bo also gave a combative defense of policies that have made Chongqing a controversial bastion of traditional "red" socialist culture and a model egalitarian economic development denounced by pro-free market critics. He suggested that unspecified enemies were vilifying both Chongqing and his family. "If only a minority of people are wealthy, then we would be heading towards capitalism and we would have failed. If a new capitalist class emerges, then we'll really have taken the wrong route," said Bo, a former commerce minister, citing statistics indicating that China's inequality is dangerously high. Wang was widely seen as Bo’s right-hand man. He ran the sweeping anticrime crackdown in 2009 which led to thousands of arrests and destroyed some of the city’s wealthiest business executives. According to the New York Times the campaign propelled Mr. Bo’s thinly veiled crusade to win a seat on the Standing Committee of the Politburo, the nine-member committee that effectively runs China. Wang was a nationally decorated crime fighter who had worked under Bo in Dalian in the northeast province of Liaoning. In Chongqing he was the top police officer until he was mysteriously removed the week before he fled to the consulate. He stayed on as a deputy mayor and was reassigned to duties involving the local economy and education. Chongqing officials have reportedly commissioned a four-volume history of the anti-triad campaign, with a film and television series to follow. Wang's career seems made for the movies; according to the South China Morning Post, he has 20 scars from knife and bullet wounds and was once in a coma for 10 days due to his longterm battle with the triads. The crackdown proved hugely popular with many residents—"If Wang is not in charge of the PSB, is Chongqing still going to be safe?" one commentator asked—although critics were alarmed by its methods. There was particular concern at the jailing of a lawyer for his defence of an alleged gang boss . Others argue it is impossible to root out organised crime because of the gang bosses' powerful connections. In early February 2012, Chongqing's information office said on its blog the party committee had given Wang a new portfolio in charge of economic affairs in place of his public security post, the South China Morning Post reported. A few hours later, the office revised its message to say the 52-year-old would be in charge of issues including education, the environment and industrial and commercial management. The abrupt transferral sent China's internet rumour mill into overdrive. "A hero who fought as a triad-buster has been pushed aside to a vice-mayor position without real power—it is not only sadness for Chongqing but the whole of China," said one of many bloggers speculating that Wang was being sidelined because the portfolio was relatively junior. But Bo Zhiyue, an expert on Chinese politics at the National University of Singapore, suggested the move was designed to prepare Wang—who became vice-mayor last spring—for higher office. "I think this is actually career enhancement ... To be promoted along the political path, to a mayor or provincial governor, he has to learn to deal with different issues," he said. Lin Zhe, a professor with the party school of the CPC central committee, told the state-run Global Times newspaper: "Chongqing's work in cracking down on criminal gangs was called to an end early in 2010, when a meeting in the city was held to summarise the achievements of cracking down on gangs. "So Wang has fulfilled his task as an anti-gang hero, and it is time for him to explore new spaces in other fields." Prominent among Wang’s crimes was his participation in forced organ harvesting from prisoners of conscience, a practice the Chinese regime has denied. Earlier in his career, Wang gave a speech in which he discussed his involvement in organ harvesting. In 2006, three years after becoming director of the public security bureau in Jinzhou City, Liaoning Province, Wang was given an award—but it wasn’t for fighting crime. Wang had done pioneering research on how best to transplant organs taken from prisoners—who were possibly still alive when their organs were removed—and honed his techniques over thousands of on site trials. Wang received the award in September 2006 from the Guanghua Science and Technology Foundation, a charitable organization meant to promote science and technology to youth. According to its website it is under the direct leadership of the Communist Youth League, one of the Chinese Communist Party’s mass organizations used for recruitment. In Wang’s acceptance speech, which is still available online (and archived here), he thanks Guanghua Foundation staff for “painstakingly traveling” to Liaoning Province to observe his work. He notes one time when Guanghua staff had to rush back from overseas to view a trial. “They wanted to witness organ transplantation and examine it from their point of view: organ transplant benefits the public and improves Chinese law enforcement in a humane and democratic way,” Wang said. “As we all know, the so-called “on the scene research” is the result of several thousand intensive on-site transplants,” he added. Researchers investigating China’s organ transplantation practices were troubled by the remarks and what they implied. “The so called “research scene” that Wang Lijun refers to is either an outright execution site with medical vans, or possibly a medical ward, where peoples’ organs are surgically removed,” said Ethan Gutmann, who has published extensively on organ harvesting from Chinese prisoners of conscience. He added that the injections that the award refers to are probably “anti-coagulants and experimental medications that lower the chance of immune-system rejection as the organ is passed between one living body—heart still beating, soon to expire from the trauma—to another.” Gutmann added that this is “normal medical practice” in China, where hospitals, military hospitals, and public security bureaus intersect. “There is zero guarantee that consent was involved,” Gutmann said. “Ample evidence has come to light that the victims could well have been Uyghur Muslims, Tibetan Buddhists, “Eastern Lightning” Christians or—exponentially more likely—Falun Gong practitioners. 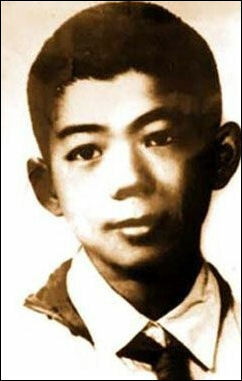 In other words, Wang Lijun received an award for, at best, barbarism.” It is not possible to know what proportion of victims Wang referred to in his remark about “thousands” of on-site transplants were criminal prisoners and how many were political prisoners or prisoners of conscience, such as Falun Gong practitioners. Further, in China there is a range of nonviolent crimes that can be punished with the death penalty, but the communist state does not publish statistics detailing the numbers of people executed and their crimes. Political observers in Beijing are closely watching two related developments. The first is which senior cadre will likely acquire the PBSC seat which Bo seemed to have a high chance of filling. The second and perhaps more significant issue is the fate of the so-called “Chongqing Model” associated with Bo, particularly the large-scale resuscitation of Maoist values and culture that is symbolized by the popular ‘singing red songs’ (changhong) campaign. Since the Wang Lijun saga, however, the mainstream media has been replete with commentaries advocating ideological and political liberalization. Particularly given that other pedigreed cadres such as Vice President Xi Jinping also have taken part in the changhong movement, are these pro-reformist articles yet another weapon used by President Hu and his associates to lay into the Gang of Princelings? Are there also possibilities that the recent outburst of reformist sentiments will persist beyond the 18th CCP Congress? That Hu had a hand in bringing down Wang—and in the process crippling Bo’s promotion prospects—was attested to by reports in Beijing that in 2011 he asked the Central Commission for Disciplinary Inspection (CCDI) to investigate corruption-related offences allegedly committed by Wang and his colleagues in Tieling... Wang’s replacement as Chongqing Police Chief is 42-year-old Guan Haixiang, who spent 15 years in the Communist Youth League’s regional and central offices but has no experience in police or political-legal system (zhengfa xitong) work. “Comrade Bo Xilai was very dissatisfied with this,” the leaked transcript states. Within days, he arranged for Mr. Wang to be removed as police chief and demoted to a lesser role supervising education and science, without seeking the approval of the Ministry of Public Security, the document adds, “as rules dictated.” The report does not address why Mr. Wang, a subordinate of Mr. Bo’s, would have sought to pursue his own corruption investigation against his boss. Corruption inquiries against a leader of the rank of Mr. Bo would normally be conducted by investigators under the direct authority of the party elite in Beijing, not by a provincial official. The document states that Mr. Wang filed a formal request for political asylum with American consular officials after discussing “matters related to cooperation and exchange,” but does not elaborate. Rumors have been rife—and unverified—that Mr. Wang presented American officials with evidence of official corruption, and that he dispatched more evidence outside China for release in the event that someone should seek to harm him. Both those rumors and the party’s findings underscore the unusual degree to which reports of corruption dog the Chinese elite, and color citizens’ views of their leaders. Few complaints about the government are as widely shared, and few seem as resistant to solution as the issue of graft. AP reported: Ties between Bo and Wang appeared to fray amid reports of an investigation into Wang's former subordinates at his former posting in the northeastern city of Tieling. Wang drove to the U.S. consulate in Chengdu after being transferred to a minor city government post. Unusual for party infighting, Bo's undoing unfolded in public. Wang's trip to the US Consulate was first rumored on the Internet and, after the US State Department confirmed the visit ,the government was forced to follow suit. According to diplomats and other people familiar with the matter question b the Wall Street Journal Wang asked for political asylum in the U.S. consulate in Chengdu and presented what he said was documentary evidence against Mr. Bo. He was rejected because U.S. officials feared accepting him would severely damage relations with China. He was persuaded to hand himself over to Chinese central-government officials who took him to Beijing. According to the New York Times Mr. Wang carried papers that he said implicated Mr. Bo’s family in a criminal inquiry of the death of a British businessman, Neil Heywood, an acquaintance of the Bo family. Mr. Bo and Mr. Wang are now said to be confined in Beijing while party officials investigate those and other claims. Verdicts in Chinese criminal cases, especially those with a political dimension, are often predetermined. Mr. Wang’s sentence was relatively lenient; court officials had made the argument in his trial that mitigating factors should be taken into account when determining the verdict and punishment. With Mr. Wang’s trial over, Mr. Bo is the one remaining major figure in the matter yet to be tried. "The accused Wang Lijun voluntarily gave himself up after committing the crime of defection, and then gave a truthful account of the main crimes involved in his defection," said the official statement published by state media. "The accused Wang Lijun exposed leads concerning major criminal offences by others, and played an important role in investigating and dealing with the cases concerned." The 53-year-old Wang has been serving his 15-year sentence at Beijing's Qincheng maximum security prison since September 2012. If not true, the messages metaphorically implied that the Communist Party's top leadership was split and "a new Gang of Four had been smashed". The "Gang of Four" refers to a faction in the politburo during the Cultural Revolution (1966-1976) headed by Mao Zedong's last wife, Jiang Qing, and supported by Mao. Less than a month after Mao's death, they were arrested in what overseas China watchers called a "coup d'etat", on October 6, 1976. These rumors were immediately challenged and refuted with strong evidence by other web surfers. As a result, inside China, the rumors died almost as quickly as they had emerged. This is a convincing example of freedom of speech in action; rumors cannot last long. Still, the next day, Epoch Times, a newspaper run by the anti-communist Falungong, picked up on the rumors and splashed a big story. This caused a scare in Hong Kong, where the stock market dipped, although this was attributed to an adjustment, and most newspapers in Hong Kong did not play up the story. The suspicion is that the rumors were started by the new leftists and Bo's supporters, who want to see their ilk fighting at the power center against the established ruling elite. As a Chinese saying has it, "There are no waves without wind." So why then did the rumors emerge and quickly spread” Zhou Yongkang, one of the nine members of the Standing Committee of the Politburo and in charge of law enforcement, was the first Standing Committee member to visit Chongqing. He gave high praise to Bo's campaigns to crack down on gangsters and to sing "Red Songs". Hearsay has it that Zhou's godson, Kong Tao, is a close friend of Wang. Through Wang, Bo became close to Zhou, supposition has it. This argument claims that the attempted "coup" on the night of March 19 was launched by Zhou, though he is not named. (This on the surface is probable as Zhou could command the police, but in fact it is impossible because Zhongnanhai is tightly guarded by military soldiers - not the police). It also happened that on the day of March 19, Zhou presided over a national conference of law enforcement officials on how to maintain stability. Two days later, another rumor surged that Zhou "has been kept under surveillance". Beijing was forced to react this time, at least partially in order to quash the rumor. State-run Xinhua News Agency reported on March 22 that Zhou had written a letter to a conference on law enforcement in Shanghai. Apart from all the officialese, Zhou hails in his letter the "correct leadership" of the party power center "headed by General Secretory Hu Jintao". In other words, he was given the opportunity to make known his position that he is on the side of Hu. Zhou then made a public appearance on March 26, attending the opening ceremony of a training class for regional party officials in charge of law enforcement in Beijing. Zhou called on all law enforcement officials across the country to "keep in line with" the party central leadership "on matters of principle". Xinhua quoted an official with the State Internet Information Office as saying that the sites had spread reports of “military vehicles entering Beijing and something wrong going on in Beijing.” The reports, which Xinhua said were carried on the sites meizhou.net, xn528.com and cndy.com.cn, stemmed from disagreements among senior leaders over whether to remove Mr. Bo, who is being investigated over accusations of corruption and abuse of power. One of his backers, the senior leader Zhou Yongkang, was said to be behind the planned coup, although most Chinese analysts have discounted this as a fabrication. In addition to the six detainees “ whose names were not released “ Xinhua said others were “admonished and educated” and had promised to “repent.” The sites that were closed were relatively minor players in China. More noticeable for most Chinese was the decision to shut off the commenting services for microblogs run by the Sina Corporation and Tencent Holdings, which each have 300 million registered accounts. On Sina’s Weibo service, users who tried to comment on posts after 8 a.m. Saturday were greeted with a message saying that microblogs contained “many rumors and illegal, destructive information.” The shutdown was necessary, the notice said, “to carry out a concentrated cleanup.” It said comments would be allowed starting Tuesday morning. The measures allowed users to post, but not comment on others’ posts. Even though the actions are linked to the Bo Xilai affair, analysts say the government began to take steps last July, when a high-speed rail crash led to an outpouring of reports and criticism that cast doubt on the government’s version of events. Within a week, most critical posts were deleted. The two companies said in statements on their websites that the shutdown was aimed at "cleaning up" illegal and harmful information posted on some microblogs but gave no details. During the suspension, users could post on their own microblogs but were barred from making comments on others' accounts. It was unclear whether the suspension on Sina and Tencent was ordered by regulators or the companies took action on their own after being scolded about comments on their sites. State media said the two sites were "severely criticized" by regulators. The surprise suspension triggered indignation from microbloggers. "Commenting is our inalienable right," microblogger Li Xuepeng wrote Tuesday after full service was restored. "What we need to do and must do is to speak up, until the right will not be taken away." "I'd like to call upon the government to release information in an open, timely and transparent manner," Zhao wrote on his microblog. The main party newspaper People's Daily warned earlier that "rumors and lies packaged as 'facts'" would "disrupt social order" and "harm social integrity." During the suspension, users tried to circumvent the ban by reposting microblog entries that already were online and sometimes adding their own words. "The result of banning comments was a surge in reposting. It did nothing to stop rumors from spreading," Han Han, a popular online commentator, wrote on his own microblog. "This has nothing to do with regulating but power-flaunting and warning. What it says is if I can take away commenting from you for three days, I can make you lose microblogging forever." Even as Beijing once again asserts its heavy hand over the Chinese Web, many are wondering why it waited so long. Indeed, more notable than the latest crackdown has been the surprising openness allowed over the past month. That’s not to say there has been any trend of liberalization, however, argues Jeremy Goldkorn, founding director of Beijing-based Danwei, a China Internet and media research firm. He points to the new rule that requires bloggers to use their real names to register—only partially enforced, to date—as proof of a counter, tightening trend. Rather, the relative looseness seen recently is due to the substantial challenge Beijing authorities face in monitoring the world’s largest Internet population. China has 485 million Internet users and 300 million registered micro-bloggers, according to Zhang Xinsheng, an official from the Ministry of Industry and Information Technology, as reported by Xinhua late last year. “This is more because it has become a Sisyphean task to monitor the Internet,” says Goldkorn, pointing to how difficult it is for censors and software to keep up with evasive tactics, such as the regular use of puns and homonyms by China’s netizens. To get around censorship on the Web, for example, supporters of Bo Xilai have referred to him by using the characters for “bu hou,” meaning literally, “not thick.” That’s because the Chinese character for “Bo” can also mean “thin” when pronounced slightly differently. “You see, China does have politics and it is more interesting than in the United States,” said Yang Jianli, a Chinese dissident who lives in Washington. Of course, not a word of it has been in the Chinese press. But officials within the Communist Party—like the opposition research team for an American politician—appear to be making deliberate leaks. “In the past, all of the negative reports about Bo Xilai were blocked. Now all of the positive reports are deleted and the negative ones can stay online. It’s been a little bit confusing,” said Li Ping, 24, who is working on a master’s degree at Chongqing University. The damaging internal report that accused Bo of obstructing an investigation appeared on Boxun.com, a US-based Chinese-language site that has become like Politico for China’s political junkies. The Epoch Times, run by the banned Falun Gong spiritual movement, has also carried many of the reports. Even stranger, Wang’s run to the US Consulate was covered in minute-by-minute detail on Sina Weibo, the Twitter-like microblog popular in China. The blogger, who used the pseudonym Sun Dapao, described dialogue between the US officials and Wang and added intriguing details - for example, that Wang had managed to slip out of his home undetected by disguising himself as an elderly woman. “Highly entertaining, like gossip with tea,” is how Ran Yunfei, a Chengdu-based writer-activist, described the unfolding scandal. Ultimately the government launched an Internet crackdown that shuttered some web sites and limited access to Sina Weibo. By Tuesday morning, a story in the English-language version of the Communist Party newspaper Global Times said that “almost all online information" about the crash had been deleted overnight, “triggering suspicions as to the identity of the deceased driver." The paper said the popular Sina Weibo service “deleted all microblog posts which mentioned the accident, and blocked online searches of the word “Ferrari.” The Global Times also found that news reports about the crash were deleted from many Web portals." Traffic accidents involving luxury cars have their own particular lore in China, especially in Beijing, where many politicians, party princelings and their children drive (or are driven in) high-end sedans and S.U.V.’s. (Mr. Bo’s son Guagua, for example, is said to drive a red Ferrari.) The Atlantic, called the Global Times story of a possible cover-up of the Ferrari crash “amazing” and “astounding” because it was being published by a state-run media outlet. Bo called "nonsense" reports, widely circulated on the Chinese internet, that his son, Bo Guagua, was seen driving around Beijing in a red Ferrari sports car. He said Guagua's education at Oxford and Harvard was paid by scholarships. "These people who have formed criminal blocs have wide social ties and the ability to shape opinion," he said of his critics. "There are also, for example, people who have poured filth on Chongqing, and poured filth on myself and my family." Asked whether he would bear responsibility for Wang's actions, Bo said: "As long as it happened in Chongqing, I have responsibility for it." China's internet censors have a number of ways of banning particular words or phrases from Sina Weibo and other microblogging sites. The simplest and most regularly used method is to remove the offending term from the site's internal search engine. A more extreme tactic - and the one used in the case of Ferrari - automatically removes any post containing that word. Hints at the extreme political sensitivities surrounding the crash emerged as other words and names joined the list of banned words while newspaper reporters revealed that they had been forbidden from investigating or writing about the crash. A brief local newspaper report on the crash, which occurred shortly after 4am on Sunday in Beijing and apparently involved a Ferrari F430, was swiftly removed from the website. The ban was imposed with the ruling Communist Party in the throes of its most public political turmoil for more than 20 years after the downfall of Bo Xilai. Internet censors have been busy since the sacking of Bo Xilai as party boss of the sprawling city of Chongqing. His name and those of other family members have been blocked as search items. The Government appears especially keen to snuff out speculation about Mr Bo amid reports that he may be under house arrest pending a fuller investigation of his conduct. Mr Bo has his own Ferrari link: he recently dismissed as nonsense that his Harrow and Oxford-educated son, Bo Guagua, drove a red Ferrari. The exact circumstances of Sunday's crash, beyond the fact that pictures of the twisted wreckage clearly showed it was a black Ferrari, are unclear. The driver, thought to have been in his 20s, was travelling with two young women sharing the single passenger seat. They reportedly survived the crash but with severe injuries. In an interview with The New York Times Bo rebutted a story that he had driven a red Ferrari to pick up a daughter of Jon M. Huntsman Jr., the American ambassador to China at the time, from the ambassador’s residence for a date. Bo Guagua is currently believed to be living in the United States.